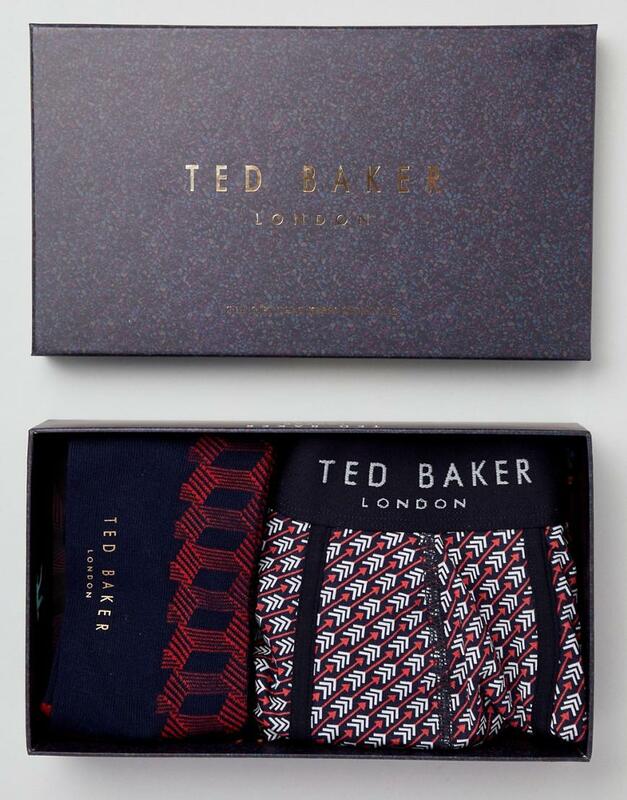 See more Ted Baker Boxers. 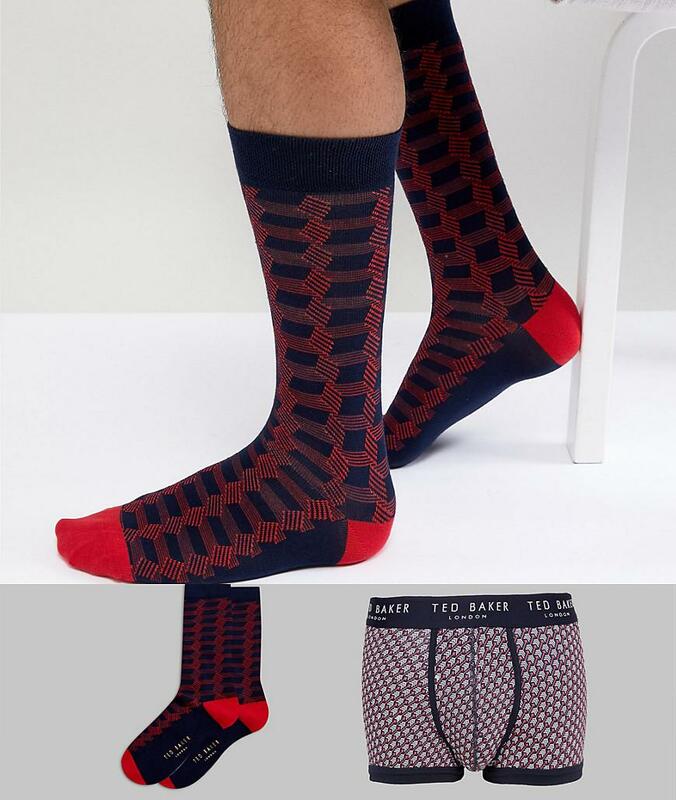 Trunks and socks set by ted baker. You can never have too many. Branded waistband. Form-fitting design. 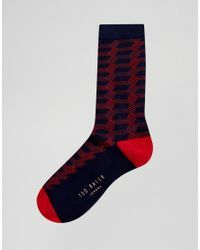 Comes with one pair of socks. Ankle length. Known for their quirky detailing and individual style. Ted baker originally started life exclusively selling dress-shirts. The ted baker range now incorporates everything from suits to jeans in a wide variety of styles. Please note: this brand's skinny suits are cut slightly larger than average. For a close fit it may be advisable to buy a size down.